Carbon Steel Pickling & Passivation | Delstar Metal Finishing, Inc.
Delstar offers carbon steel pickling, cleaning and oiling services. From carbon steel vessels to carbon steel piping, Delstar can provide pickling services to fit your needs. Our “out of tank” processes allow us to clean and pickle any part that can be transported to our facility. A typical carbon steel pickling job will consist of pre-cleaning, pickling and oiling. The pre-cleaning step is usually done with degreasers or hot caustic solutions. Pickling solutions normally consist of sulphuric and water. The final step in most pickling jobs is the application of a rust inhibitor. Carbon steel cleaning and pickling can also be used as a pre-treatment step prior to painting. 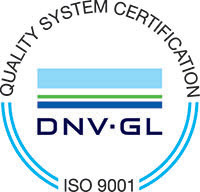 Our facilities are ISO 9001:2015 certified. Contact Delstar, offering the industry's best pickling services, for your carbon steel pickling needs.